A TEMPORARY WATER OUTAGE WILL BE IN EFFECT ON Friday, FEBRUARY 10TH BETWEEN 10:00 AM – 3:00 PM FOR THE FOLLOWING AREAS – MOST HOMES SOUTH OF PACIFIC. THE INSTALLATION OF VALVING ALONG PACIFIC AVENUE WILL BE UNDERWAY. SOME AREAS MAY BE BACK IN SERVICE PRIOR TO POSTED TIMES. THANK YOU FOR YOUR PATIENCE, WE ARE ALMOST DONE! A TEMPORARY WATER OUTAGE WILL BE IN EFFECT ON THURSDAY, FEBRUARY 9TH BETWEEN 10:00 AM – 3:00 PM FOR THE FOLLOWING AREAS – MOST HOMES SOUTH OF PACIFIC. THE INSTALLATION OF VALVING ALONG PACIFIC AVENUE WILL BE UNDERWAY. SOME AREAS MAY BE BACK IN SERVICE PRIOR TO POSTED TIMES. THANK YOU FOR YOUR PATIENCE, WE ARE ALMOST DONE! A TEMPORARY WATER OUTAGE WILL BE IN EFFECT ON TUESDAY, JANUARY 24TH BETWEEN 10:00AM – 1:00PM FOR THE FOLLOWING AREAS – BAYOCEAN FROM 8TH STREET WEST TO 4TH STREET, 4TH STREET TO PACIFIC, 3RD STREET NORTH END ONLY, 5TH STREET NORTH OF PACIFIC. THE NEW WATER MAIN NEEDS TO BE TIED INTO THE EXISTING DISTRIBUTION SYSTEM. THANK YOU FOR YOUR PATIENCE. At approximately 11:30 a.m. on Saturday, October 1, reports were received of low or no water pressure from Cape Meares community residents. The Oceanside Water District was contacted and discovered that the 200,000 gallon water reservoir was empty. Efforts are underway to locate and repair the breach that emptied the tank. 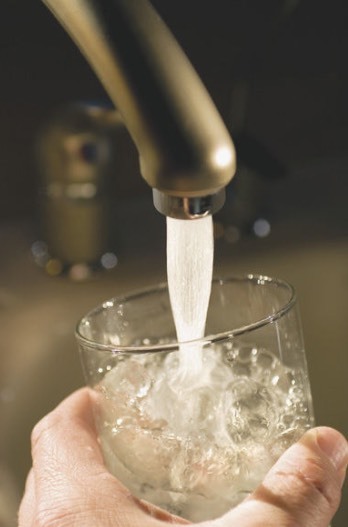 For any residents that do have pressure – there is a “boil water” advisory that will remain in place until the break is located and repaired and the water has been tested and passed. Attempts have been made to supply emergency drinking water to residents unable to drive to Tillamook to purchase their own. If you are planning on visiting the Cape Meares community, be aware of the water issue and please bring your own! 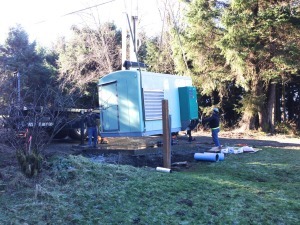 Emergency drinking water is available to community residents at the local Cape Meares Community Center. Contact the OWD if you are unable to obtain supplies for your personal use. At this time it is unknown when the water service will return to normal. A public meeting of the Budget Committee of the Oceanside Water District, Tillamook County, State of Oregon, to discuss the budget for the fiscal year July 1, 2015 to June 30, 2016, will be held at the Oceanside Community Club, 1540 Pacific Ave., Oceanside, OR. The meeting will take place on Tuesday, the 12th day of May, 2015. at 1:00 PM. The purpose of the meeting is to present the budget message and to receive comment from the public on the proposed budget. 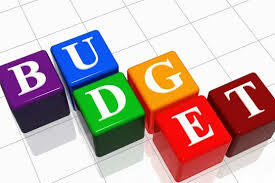 If you wish a copy of the Budget Document mailed to you, please call 503-842-0370 between 9 AM and 12 PM, M-F. Persons wishing to attend and needing special accommodations for hearing, vision or physical impairments should contact the District at least 48 hours before the meeting at 503-842-0370, between the hours of 9 AM and 12 PM so the appropriate assistance can be arranged. This is a public meeting where deliberations of the Budget Committee will take place. Any person may appear at the meeting to discuss the proposed programs with the Budget Committee. Click on the link below to access the document to be reviewed at the meeting. 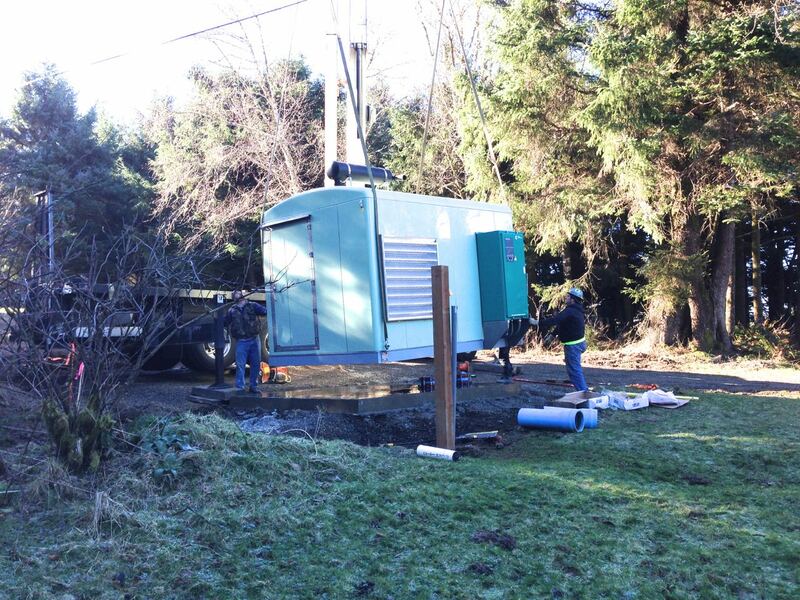 In the past the Oceanside Water District provided service to Cape Meares by transporting water from the treatment plant across a 3,000 foot section of the major slide area north of the now closed Loop Road. 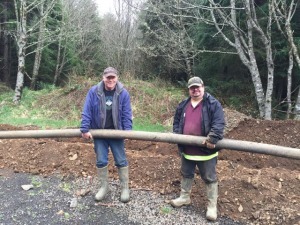 After the new water tank became available for Cape Meares last summer, the piping across the slide area to the former Cape Meares water tank was no longer required. During the week of March 9 this water pipe was extracted from the slide area in one 3,000 foot section. It will now be available for future use by OWD. The picture appearing with this posting is of our watermaster, Alan Tuckey, and his assistant, David Nordman.